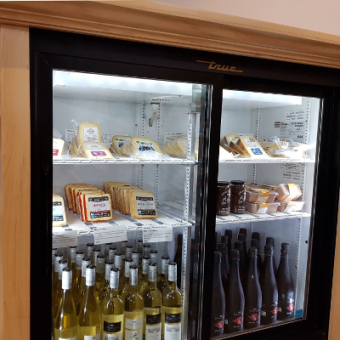 PondView is pleased to announce the Grand Opening of our NEW Cheese Shop. We have partnered with some of Canada's best artisan cheese producers to bring you an assortment of delicious artisan cheeses. Swiss-style cheese. Semi-soft, milky, nutty flavour. Pairs well with white and red wines. Semi-soft, with a zesty herbal flavour. Rich and creamy on the palate. Pairs well with red wine. Hard cheese with crumbly interior. Rich and creamy on the palate. Pairs well with white and red wine. Semi-soft, robust flavour. Delicately aged on cedar wood planks. Pairs well with Chardonnay and Sauvignon Blanc. Semi-soft, robust flavour. Delicately aged on cedar wood planks, then naturally smoked with maple and apple wood. Creamy, with smoky flavour. Hard cheese with rich and complex flavours. Robust, with nutty overtones. 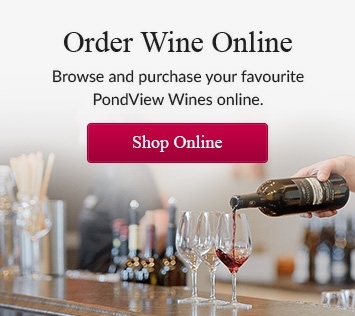 Pair with red wines, particularly Pinot Noir. Semi-soft, smooth texture, creamy on the palate. Pair with white wine, especially Riesling and Gewürztraminer. Mild with velvety smooth texture. Pairs with white wine, especially Riesling. Mild, smoky flavour complementing the complex taste of this aged cheddar. Pair with red wine. Creamy, rich and intense flavour. Named after the famous food philosopher, this is the triple cream everyone talks about. Rich, creamy, buttery flavour. Excellent with sparkling wine.